Sometimes things go together very nicely. 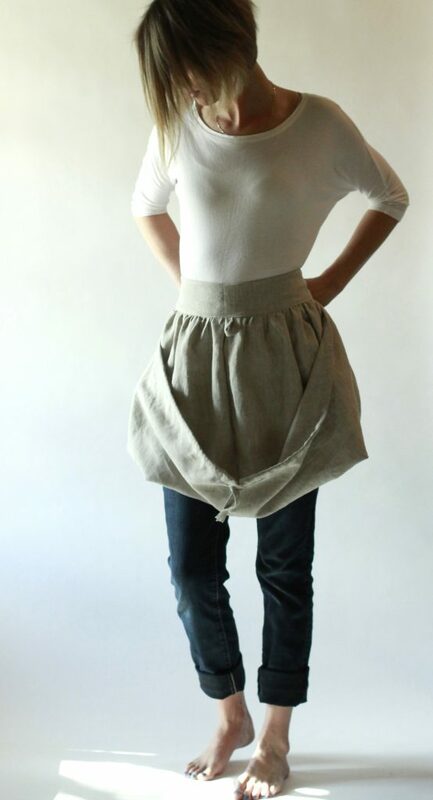 For instance, we introduce our Gathering Apron in Linen. There feels a historical connection between these two. Linen is one of the first fibers from which cloth was made. 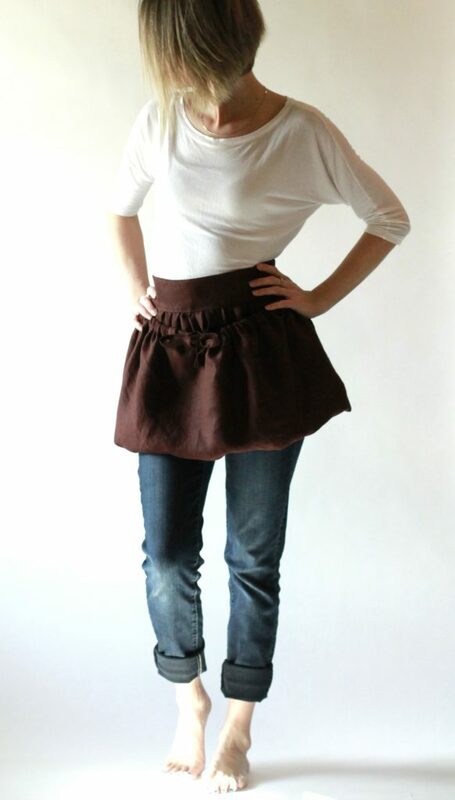 Aprons also share a deeply historical background dating back to ancient times. There is a safe assumption that our ancestral mothers wore linen cloths wrapped around themselves to collect and carry their finds. It is wonderful to offer to add linen to which we have designed to carry and collect finds. We were compelled to begin in classic oatmeal. Oatmeal has the richest texture and grain to it. It has a pure linen look to it. Then we added chocolate brown as it is not only our most popular linen color but a good alternative for hiding stains. 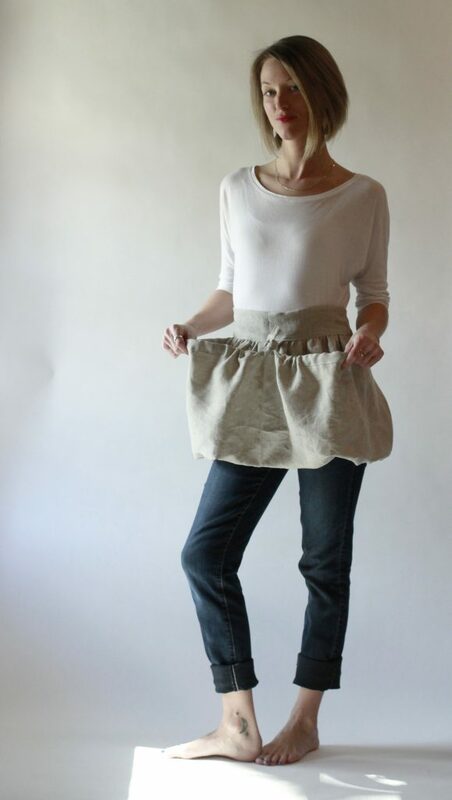 Upon inspection of our first sample, we found that the linen adapts well to gathering, it’s soft to wear and very light. 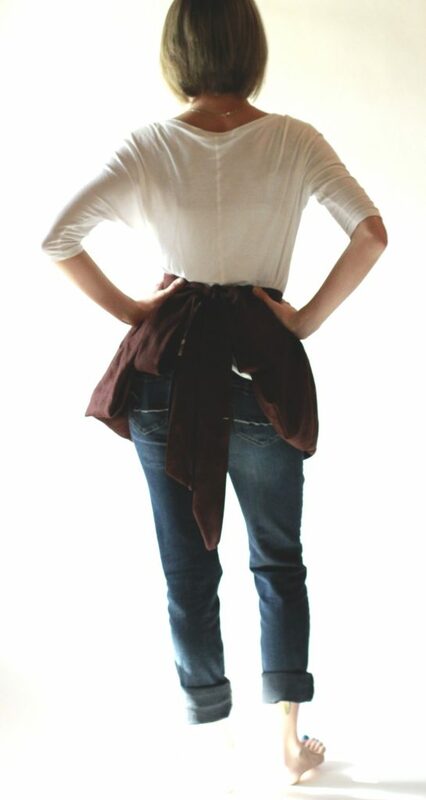 The drawstring on the apron allows you to tie it up as loose or tight as you would like. It also opens fully allowing you to dump out the contents of the bag onto the table, counter or into what you like. It can also tie fully opened to allow to large pockets. The long ties allow a variety of sizes. And since linen comes wide on the bolt, we were able to offer a regular waistband of 22″ and a larger one at 29″. Customers can hold up a measuring tape to themselves to see where 22″ and 29″ land on themselves, and can then order accordingly. The wasitband of the design is 3″ wide, allowing it to sit comfortable on the waist. The 3″ wide ties are 40″ long and allow for front tieing. We hope you find the gathering apron in linen to your liking and let us know any feedback you may have.